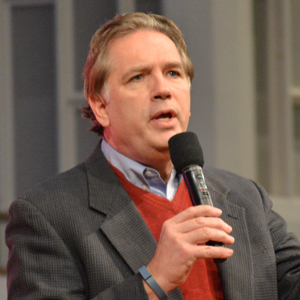 Dr. D. Leslie Hollon, Ph.D.
Leslie serves as Senior Pastor of Trinity Baptist Church in San Antonio, Texas. This growing regional congregation is noted for the impact of its local and global ministries. Leslie is often interviewed by local media and is a frequent speaker for community, regional, and international events. Previously he was pastor of St. Matthews Baptist Church in Louisville, Kentucky where he was recognized for his outstanding work in the city. He also served for nine years as pastor and professor in Kansas City, Missouri. Before leaving Kansas City he received the distinguished award from Baptist Medical Center for his devoted service to the community. While a seminary student he served as full time pastor of the Finchville Baptist Church, and was a statewide leader in Kentucky. Leslie writes in the areas of Christian faith & practice; has contributed to nine books plus several periodicals. Among his most recent releases was Christian Reconciliation Ministries: Healing Hurts and Building Hope. His global travels have taken him to Asia, Europe, Africa, South & North America. His teaching engagements vary from the villages of Ghana to the annual assembly of the International Baptist Convention in Switzerland. 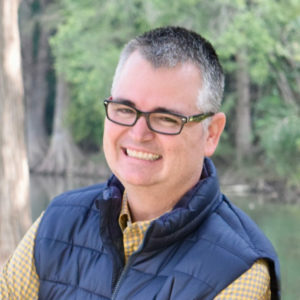 Among his various responsibilities are the Chairman for Reconciliation Networks of Our World, leadership with the Baptist World Alliance, a Board Member for San Antonio’s United Way, and professor in Hardin Simmons University’s Doctor of Ministry program. Leslie grew up in the Texas Hill Country of Boerne, where for half a century his Dad practiced law and his Mother was a community leader. When 15 he began preaching and as a high school senior he won the Texas State Championship in persuasive speaking. The Columbus Avenue Baptist Church of Waco, Texas licensed him to ministry and he was ordained by the First Baptist Church of Knoxville, Tennessee. A graduate of Baylor University, he was selected as the Outstanding Senior Man for Leadership & Service. Leslie holds the Master of Divinity, the Master of Theology, and the Doctor of Philosophy from Southern Seminary of Louisville, Kentucky. He completed special studies at Trinity University, Vanderbilt Divinity School and Fuller Theological Seminary; received various honorary degrees and earned certifications, including his being inducted into the Board of Preachers at the Martin Luther King Jr., Hall of Fame for Preachers at the International Chapel of Morehouse College. He is scheduled to be the feature speaker for the Ghana Baptist Convention’s 50th anniversary, which will be this July 16-20 in Accra. Leslie is an avid hiker, traveler, and cinema buff. His wife, Dr. Vicki Hollon, served for 15 years as the Executive Director for the Wayne Oates Institute and as a professor for Drew University. Since 2010 she has served as Pastor to Older Adults in Trinity. They are the parents of three adult children: Rachel (actress/producer/writer, based in San Antonio); Ryan (Co Executive Director of Youth Safety & Violence Prevention for the Greater Chicago Y.M.C.A.) and their daughter in law, Michelle; Steven who is a business man in San Francisco. She has served senior adults at Trinity Baptist Church since January of 2010. Prior to this position she served 15 years as Executive Director of the Wayne E. Oates Institute. As an ordained Baptist minister, Vicki has worked in the field of Adult Education, served as a hospital chaplain, and trained in pastoral counseling. Her passion for the work of the local church was born out of her decision to be a Christ follower, a commitment which began at age 7. 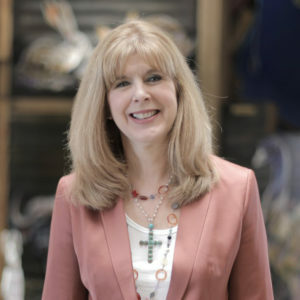 Previously Vicki served as the Executive Director of the Wayne Oates Institute. She led the organization in that capacity from 1996 – 2011. In May of 2004 Vicki earned her Doctor of Ministry degree from Drew University (Madison, New Jersey) in 21st Century Leadership. Since that time she has served on the faculty of Drew’s Global Online Doctor of Ministry Program. Vicki completed her Master of Divinity at Midwestern Baptist Theological Seminary. 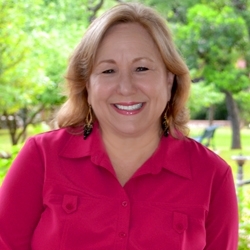 Born and “bred” in the Panhandle of Texas, she received her Bachelor’s degree from what was previously known as West Texas State University in Canyon, Texas. Vicki has been married to Leslie Hollon since 1976 and has been in the role of the pastor’s wife for over 35 years. She and Les raised three children; Rachel (’79), Ryan (’82); and Steven(’88) and in 2010 their daughter-in-law, Michelle Lugalia-Hollon, joined the family. 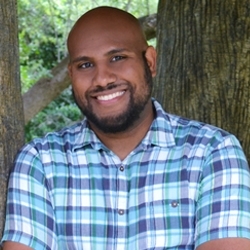 Christopher Mack is excited about sharing the life-transforming unconditional love of God to the San Antonio region and to a complex and changing world. He feels called to help people from all walks of life learn to discern the stirring of God in their lives and live from their truest self in Christ. He enjoys developing communities that allow young adults to share life and experience holistic transformation for themselves, their families and communities. 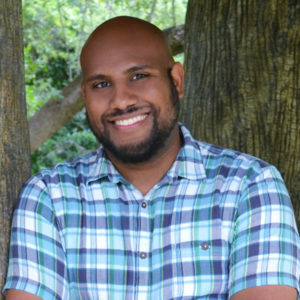 Christopher enjoys developing leaders, offering guidance on spiritual practices, facilitating small groups, proclaiming God’s message of hope and building community. In his free time, he is a sports enthusiast, enneagram junkie, movie aficionado, avid reader and outdoor wannabe. He enjoys grabbing a cup of coffee and talking about things that matter. 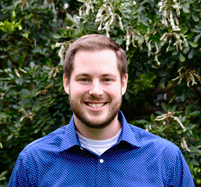 Previously, Christopher served as a campus chaplain at Baylor University in Waco, Texas. He was the Assistant Director in the Formation/Baptist Student Ministry department of Spiritual Life. Christopher graduated from Truett Seminary with a Master in Divinity with a concentration in theology. He was born and raised in Austin, Texas where he also received his undergraduate degree from the University of Texas with a dual major in Psychology and History. Judd Cochran has a love for the Lord and a passion for serving youth. He is a mature leader, capable mentor, and follower of Christ. Just as important: he’s fun and easy to talk with – key traits for any member of the pastoral staff, but especially one who works with our teens. When you speak with people who have known and worked with Judd throughout his professional journey, these themes will emerge: a love of Jesus, a heart for youth, and a willingness to cooperate throughout a church for Kingdom goals. Judd is married to Jennifer and they have two kids, Bailey and Campbell. Debbie is currently the Children’s Pastor at Trinity Baptist Church. She holds a Bachelor of Science from Southern Nazarene University, a Master of Arts in Education from The University of Texas at San Antonio and a PhD in Educational Leadership from Andrews University in Berrien Springs, Michigan. Debbie also holds a mid-management certification from North East school district and taught in the public school system for eleven years. Debbie has served in the ministry field for 20 years and in October 2005, she became an ordained minister. Debbie has been married to Robert for 30 years. She has two grown children, Chelsea who is a graduate at Texas A&M, and Chase, who is a graduate at Baylor University. Her hobbies include shopping, working out and talking on the phone. Jacob Sensenig is committed to the belief that corporate worship is the primary shaper of Christian theology and that worship will be the vehicle for a renewal of the Church. These fundamental beliefs have led Jacob to serve in worship leadership capacities in both the local church and in places of higher education. The exploration of diverse worship practices is a passion for Jacob and he believes that these practices reflect the immense creativity of God and underscore the depth and breadth of the vocation to which he has been called. This passion has led Jacob on pilgrimages and musical missions experiences to The Iona Community (Scotland), The Taizé Community (France), Kenya, Hong Kong, Malaysia and El Salvador. Jacob began serving as the Minister of Music and Worship Arts at Trinity Baptist Church in March 2017. He is also pursuing his Ph.D. in Church Music from Baylor University with a minor in Practical Theology. Previously, Jacob served as the Associate Pastor of Music and Worship at First Baptist Church in Hamilton, TX and as the worship leader for chapel services at Baylor’s George W. Truett Theological Seminary. In these two vastly different contexts Jacob has served as an enlivener of the congregation’s song, a liturgical innovator, and a pastoral worship designer. Originally from Bowling Green, Kentucky, Jacob holds a Bachelor of Arts degree from Western Kentucky University, a Master of Church Music degree from Baylor University, and a Master of Divinity degree from George W. Truett Theological Seminary. While pursuing degrees at Baylor, Jacob served on the staff of the Center for Christian Music Studies, where he oversaw the development of the Alleluia Conference, the Baylor Worship Lab, the Building the Next Generation Conference, and numerous other projects, in addition to teaching responsibilities. After graduating from Baylor in May 2014, Jacob remained in Waco to join the inaugural class of the Ph.D. in Church Music. Jacob is married to Sarah who is on staff with Young Life in San Antonio. They enjoy getting to do ministry together both inside and outside the church and are thrilled to be living as a recently married couple in San Antonio!